Members of the Vassar Devils a cappella group, above, originally thought their invitation to perform at the White House was a scam. “I thought it was some kind of phishing attempt, but I read through it again and called the [White House] switchboard operator,” says Joseph Szymanski ’17. When they accepted the invitation, they weren’t sure they would see anyone of interest at their December 11 performance. So it was a great feeling when both the president and first lady showed up for music and a photograph. “When he was walking toward me, I almost freaked out a little bit,” says Jordan Gotbaum ’17 of his encounter with the president. 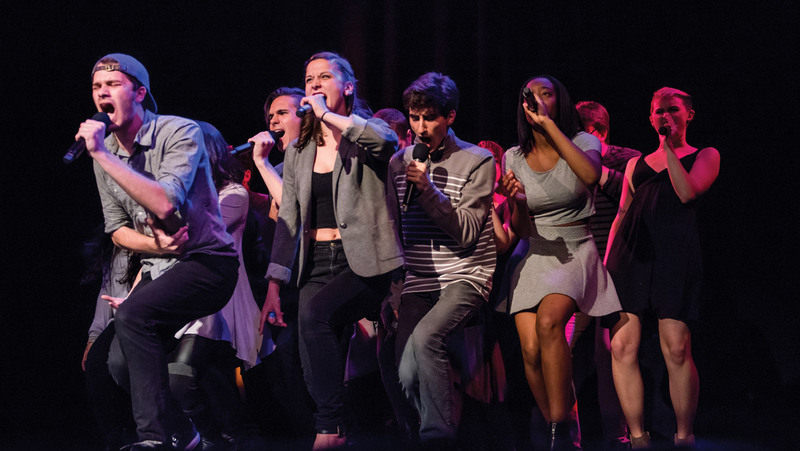 Vassar Devils has 15 members who perform both original and cover music. They recently completed a West Coast tour and will soon release their first professionally recorded studio album. In April they also took first place in the BOSS (Boston Sings) competition, winning awards for Outstanding Arrangement, Most Nuanced Performances, and Best Spoken Word. Andrew Lipman ’01, an assistant professor of history at Barnard College, received the Bancroft Award for his first book, The Saltwater Frontier: Indians and the Contest for the American Coast. The Bancroft Award is for American history scholarship. Lipman’s book explores the history of the East Coast, from the Hudson River to Cape Cod, looking at two groups of rival European colonials—the Dutch and the English—and the Pequot people. “There’s no other place in mainland North America where two rival European empires placed so many settlements so close together,” Lipman says. More specifically, the book examines the maritime history of those groups, and the conflict and contacts that involved the shore and the sea: ports, fishing, whale hunting, and other water-related economic activities. A history major, Lipman says he was influenced by his senior advisor, history professor Jim Merrill, who has won two Bancroft Awards. Merrill aroused an interest in colonial history, as did Professor Rebecca Edwards, who taught him how the environment played a role. Lipman says his book was inspired, in part, by a junior year abroad at the Williams College Mystic Seaport Maritime Studies Program, which included trips to various maritime museums and study of maritime history in the region. Those experiences led Lipman to write his senior thesis on the Pequot War, which is also addressed in the book. 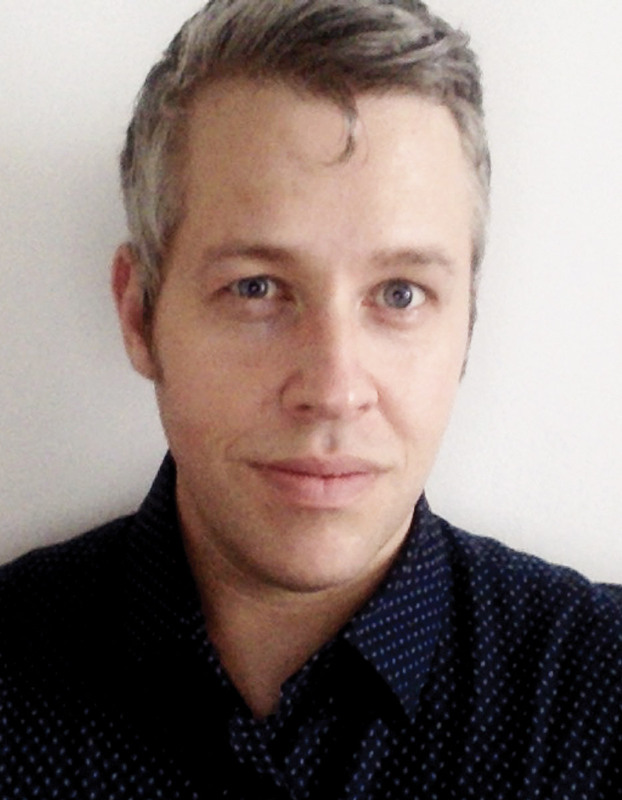 Associate Professor of English Hiram Pérez and Professor of English Paul Russell were both nominated for the Lambda Literary awards this year. The award celebrates the best lesbian-, gay-, bisexual-, and transgender-oriented books of the year. 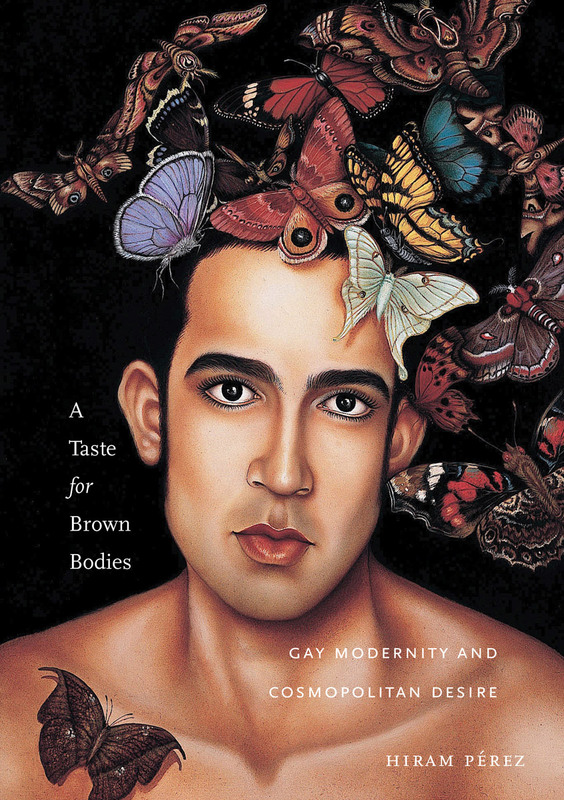 Pérez won in the LGBT Studies category for his book A Taste for Brown Bodies: Gay Modernity and Cosmopolitan Desire. The author says his book revisits foundational work in queer theory and LGBT studies in order to investigate the largely unacknowledged role of racialized desire in the story of gay male modernity. It’s Pérez’s first book and first Lambda Literary award. 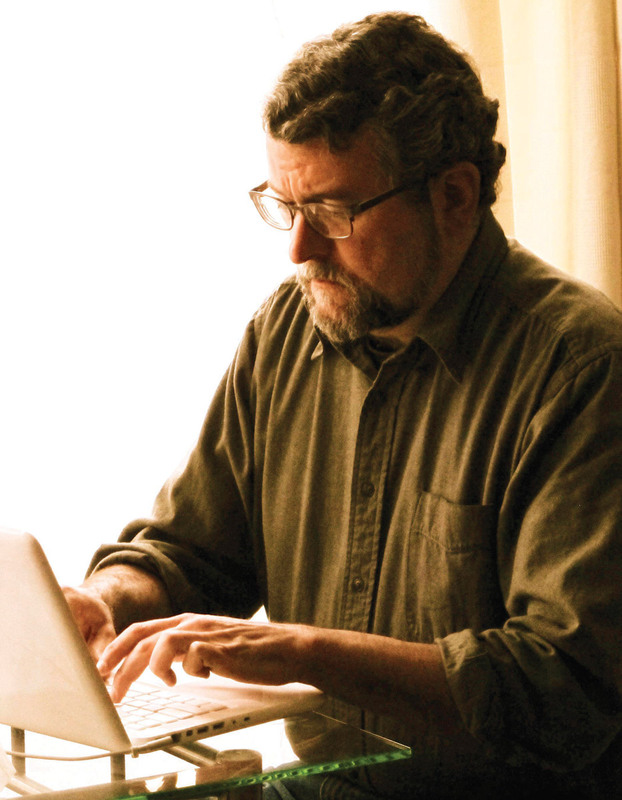 Russell was nominated in the Fiction category for his novel Immaculate Blue, which tells the tale of four characters who were initially introduced in Russell’s first novel, The Salt Point (published in 1990). The characters are back together in Poughkeepsie, where two live and are getting married; in contrast, one character has become estranged from the others, having spent the past several years as a private military contractor. This was Russell’s fourth nomination. 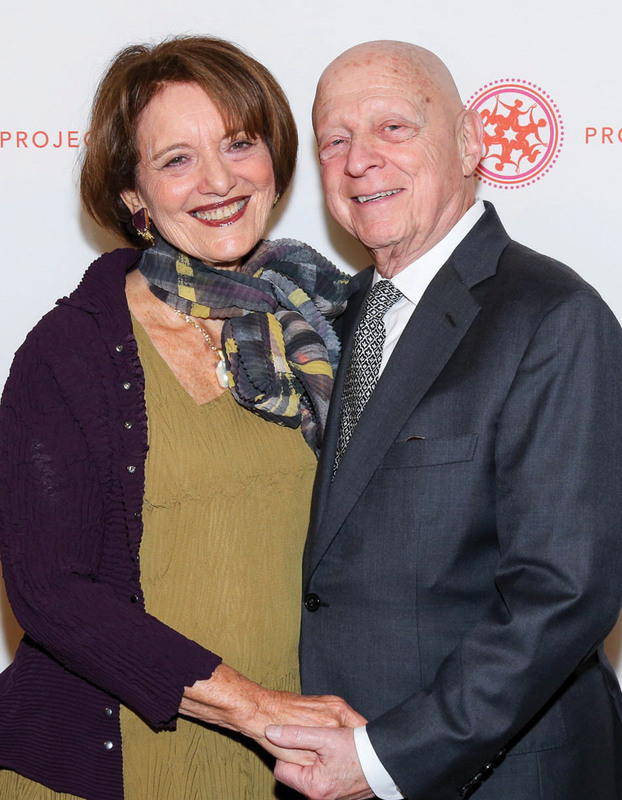 Social worker Andrea Kniznick Waldstein ’58 was recently honored by Project Kesher for her work helping Jewish women around the world connect to their heritage. Waldstein was first inspired to help with the cause when she met fellow social worker Sallie Gratch, who was preparing for a Soviet-American peace walk, in 1987. The trip included visits to small towns and villages in the former Soviet Union and former Soviet state, where Jews lived and had long been denied access to their religion and culture, Waldstein says. Thus began Project Kesher, founded in 1989 by Gratch to help bring together Jewish women from all over the world. Over the years, Waldstein has traveled to Ukraine, Russia, Belarus, and elsewhere to talk about Jewish customs, and listen to the women’s needs. For Waldstein, learning about the horrors of the anti-Jewish pogroms in Russia was an important part of a more personal mission. On her first trip to Kiev, she says, she was inspired to learn about what happened to her own relatives. It was her father’s dream to travel back to his ancestral homeland. He died before that could happen, Waldstein says, but she was determined to fulfill her father’s mission. Since its inception, Project Kesher has helped to organize 200 Jewish women’s groups and 90 interfaith coalitions, providing leadership training programs for women and girls, job training, a micro-loan program, and social justice programs that address domestic violence, human trafficking, women’s health, anti-Semitism, and other religious and ethnic intolerance. “The Project Kesher model of providing a network of resources, support, and empowerment of women and families has never been needed more, with the 1.5 million refugees displaced in eastern Ukraine,” Waldstein says, noting that the nonprofit is already at work there. 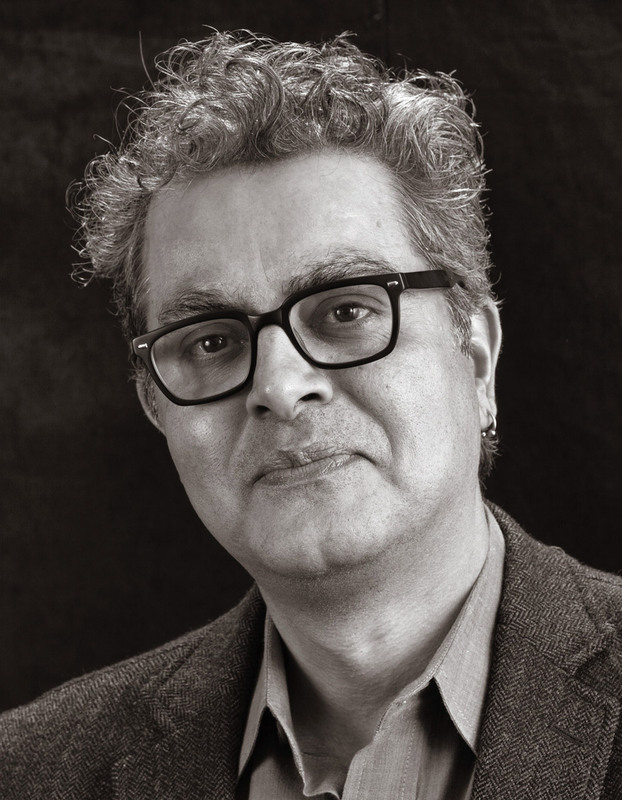 The John Simon Guggenheim Memorial Foundation has selected Amitava Kumar, Professor of English on the Helen D. Lockwood Chair, as one of its 2016 fellows. The prize-winning author will use his fellowship term to work on a book on writing and academic style, titled Every Day I Write the Book. This is only the latest of his achievements. Among his previous books, Lunch with a Bigot was included in a list of “10 best books of 2015 published by university presses”; A Foreigner Carrying in the Crook of His Arm a Tiny Bomb was judged the best nonfiction book of the year by the Pageturner Awards in 2011; in 2007, Home Products was short-listed for India’s premier literary award, the Crossword Award; Husband of a Fanatic was an Editors’ Choice book at the New York Times; Bombay-London-New York was on the list of Books of the Year in the New Statesman; and Passport Photos won an Outstanding Book of the Year award from the Myers Program for the Study of Bigotry and Human Rights in North America. Kumar has also edited five books. 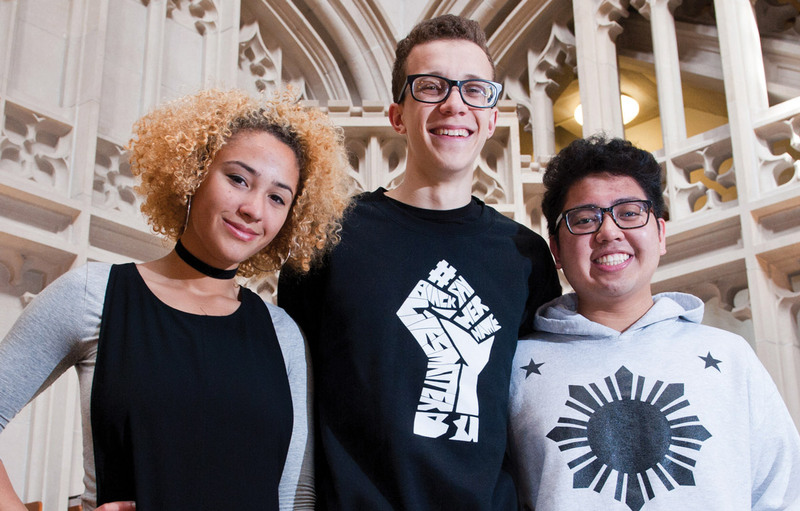 Three Vassar juniors were selected as 2016 Truman Scholars, earning one of the most prestigious national scholarships in the United States. Vassar scholars Cecil Carey, Raymond Magsaysay, and Kali Tambree—all members of the class of 2017—went through a rigorous multistage selection process. After the review of a record number of applications from a record number of institutions, 54 Truman Scholars were selected in 2016. Vassar had a greater number of scholars selected than any other college in the country. Each Truman Scholar will receive a $30,000 scholarship toward graduate school and the opportunity to participate in professional development programming to help prepare them for careers in public service leadership. Carey, a political science major from Skowhegan, ME, is in the process of obtaining an adolescent teaching certification in social studies. He plans to put his award toward a dual master’s degree in teaching and political science. The Philippine-born Magsaysay is a resident of the San Francisco Bay area. He’s majoring in sociology with minors in Hispanic studies, and race and ethnicity in literature. He plans to attend law school. Tambree is from Baltimore City, MD, and is a sociology major with a minor in Africana studies. She plans to pursue a PhD in sociology with a certificate in African American studies and wishes to focus on the rights of incarcerated black women. Congress created the Harry S. Truman Scholarship Foundation in 1975 to nurture the next generation of public service leaders. 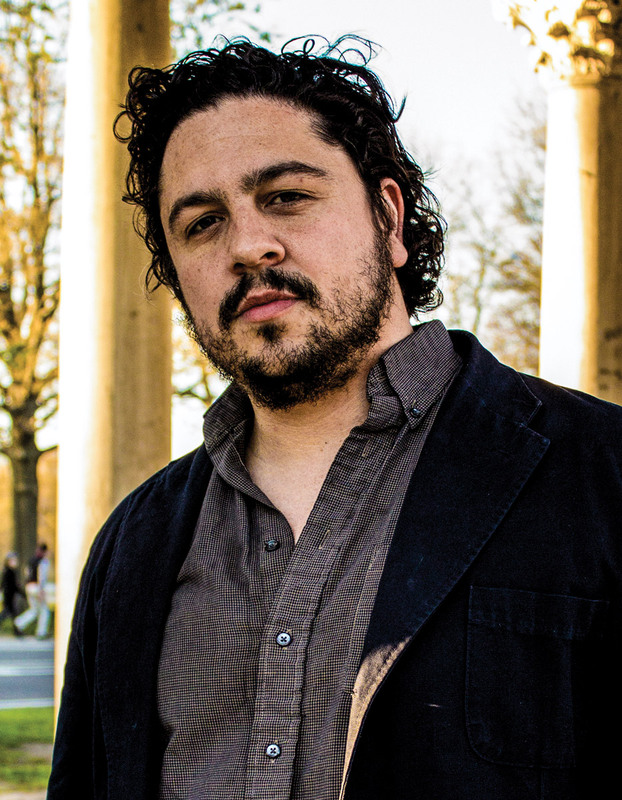 Assistant Professor of Film Shane Slattery-Quintanilla’s most recent film, the documentary The Seventh Fire, was screened at the White House in March. The Seventh Fire tells the gripping story of Rob Brown, a Native American gang leader on a Minnesota reservation who is sentenced to a fifth stint in prison. In the film, Brown examines his past, talks about a 17-year-old protégé he brought into the gang, and his dream of becoming the most powerful and feared gangster on the reservation. The showing was followed by a discussion with Brown and his protégé on Native American gang culture and criminal justice reform. Slattery-Quintanilla is the writer, producer, and co-director of photography for the award-winning documentary. The Seventh Fire has been shown at numerous film festivals, and has an outreach campaign of the same name with a goal of healing torn Native American communities by sharing their communal culture. Slattery-Quintanilla and his collaborator Jack Pettibone Riccobono took two and a half years to film on the reservation, followed by another year of editing. The film’s executive producers are Natalie Portman and Terrence Malick. This spring, four artists and lecturers—including the world's first officially recognized cyborg—explored the breakdown of boundaries between humans and machines...and art and science. In a class team-taught by art, music, and physics faculty members, students learned how various spaces around campus can affect sound. The semester culminated in a concert that traveled from the Chapel to Kenyon Hall with several stops in between. Artist Mark Dion's collaboration with Professor Anne Pike-Tay's American and Environmental Studies class yields an Art Center installation that makes the most of Vassar's many treasures. After a tour of Vassar's new Bridge building, Cari Shane '87 ponders how much easier—and more enticing—the Integrated Science Commons will make multidisciplinary teaching and learning. Designers of the Bridge for Laboratory Sciences, Ennead Architects, have created a building that is transforming research, teaching, and learning in the sciences. VQ spoke to lead architect Richard Olcott and the firm's associate partner Kate Mann about design considerations.